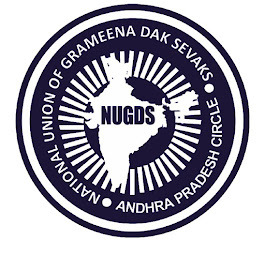 NATIONAL UNION OF GRAMEENA DAK SEWAKS AP-CIRCLE: NUGDS Letter to UNI Global union. About 242000 GDS ( Rural Postal Employees) are on Indefnite strike from 22-5-18 onwards. Out of 159000 POs,126000 are in villages ( Rural areas) of India and managed by GDS employees. Mr Kamalesh Chandra committee constituted for to examine the pay structure and service conditions of GDS employees submitted report to Government of Inda earlier 24-11-2016. Ill paid GDS employees request for support of UNI Global union and world leaders for the strike and for a favorable settlement. Affiliated to UNI Global union.